Hong Kong-based L'Voyage has launched an ultra-exclusive travel curation service under its L'Voyage Travel brand. The company estimates there are currently about 100 families in China, Hong Kong and Taiwan that charter private jets for holidays every year. They expect highly customised experiences the minute they step out of their homes, from the drinks served in their chauffeured vehicles to their preferred in-flight stewards. Meals are pre-ordered from Michelin-starred restaurants, while high-grade organic meals are prepared for the pets that they bring with them. They are also widening their holiday interests, from hunting and mountaineering to the pursuit of spiritual meaning. Costs can be upwards of $1 million per trip, inclusive of chartered private jets. This segment of travellers may be small in terms of number, but they are fast growing. According to a joint report by UBS and PricewaterhouseCoopers a new billionaire emerges every other day in Asia, and two are created every week in China alone. 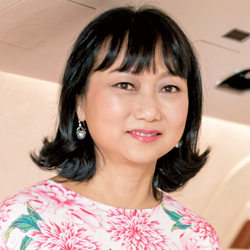 "Travel preferences among the ultra-high net worth individuals have grown more sophisticated and demanding," says L'Voyage founder and chairman Diana Chou. "It is no longer just about flying to exotic locations like Cuba, Madagascar and Tahiti by private jet. Demand is growing for experiences that are out-of- reach, even for other peer billionaires. "Money is not an issue, as long as they trust their service providers. Over the years we have got to know some of our regular clients well and we have acted as a first point of contact to refer holiday destinations and bespoke travel specialists. L'Voyage Travel is just a natural next step for us to cater more fully to their needs by tapping into our global network of ultra-exclusive travel specialists and curating one-of-a-kind experiences for our clients."